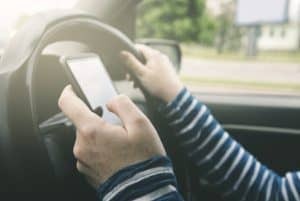 New penalties relating to the use of mobile phones while driving in the UK that could see new drivers losing their licence for a single offence have been supported by the Royal Society for the Prevention of Accidents (RoSPA). Coming into effect from March 1st, drivers found guilty of this offence will receive a fine of up to £200 and six points on their licence – meaning those who have only recently qualified to drive could see their licence revoked. Nick Lloyd, road safety manager for RoSPA, said: "We understand how difficult it can be to ignore your mobile phone, but there's not a single reason that will excuse putting people's lives at risk, and hopefully these new stricter penalties will mean drivers think twice." Indeed, motorists are reminded that the use of a handheld mobile phone is illegal whether a person is making a call or not. Using it on loudspeaker, texting, surfing the internet or taking a selfie – these are all distracting behaviours. Drivers need to be aware that the act of simply holding the phone can result in a fine and points on your licence, and this holds true even when sitting in stationary traffic. Natalie Brinkley, brand manager at Fuel Card Services, adds: "There really is no excuse for using a handheld mobile phone while driving no matter the age or experience of the driver, as the distraction this can cause is well known."